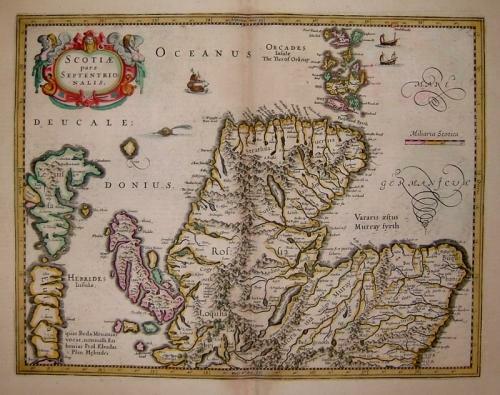 An elegant set of maps of Scotland fom the Mercator Hondius atlas. Impressive topographical information and original colours. Both maps are in very good condition with some overall toning and some slightly heavier toning in the borders. Small (1cm) centerfold tear in the southern map.